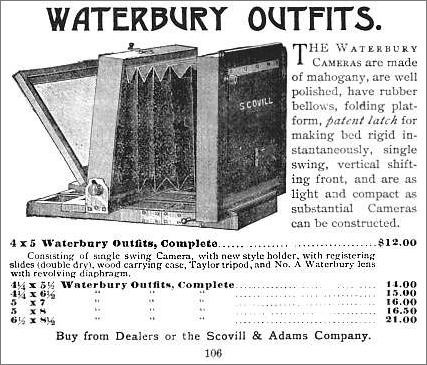 As with the Horsman Eclipse, Waterbury cameras were also offered as complete outfits with everything needed to take and develop pictures. 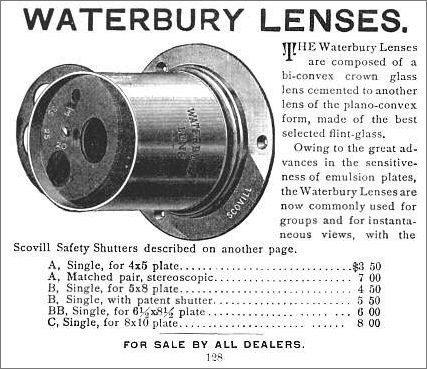 This 1892 advertisement points out that Waterbury lenses were composed of a crown glass lens cemented to a flint-glass lens. This combination created flat-field lenses free from astigmatism.